Petrol Peace: Are strikes looming? A strike by tanker drivers has been very narrowly averted they after they voted to accept a peace deal aimed at ending a long-running row over terms and conditions. 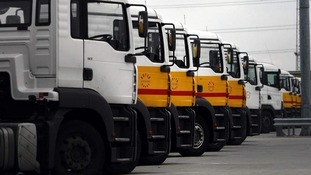 Unite said its members working for seven distribution firms backed the deal by 51% overall, although drivers in four of the companies voted to reject. The union said the vote left no room for "complacency" and it wanted rapid implementation of proposals agreed. The proposals represent progress on some of the key areas such as health and safety. But it is clear that they do not give enough guarantees that the instability and insecurity gripping the industry will come to an end. It is in everyone's interest that we end the contract merry-go- round and the erosion of standards in a vital industry. Delegates felt the proposals did not meet members' expectations and are recommending that members reject them in the consultative ballot. The Department of Energy and Climate Change has welcomed the proposal agreed between Unite and representatives from haulage firms agreed on Tuesday evening tonight. Unite members have until May 21st to decide whether to accept the deal. It is encouraging that the parties have worked to produce a final set of proposals, and agreed to allow time for these to be put to the union membership. The Government continues to believe that strike action would be wrong and unnecessary and hopes that disruptive action is close to being averted. Following two further days of complex and constructive discussions, a final set of proposals has been produced. BP has remained committed to finding a solution tothis dispute throughout the process. BP believes that the final proposals address the issues raised by Unite, and represent a fair and reasonable settlement to the dispute. The Unite union has been given until May 21 to decide whether to accept a new deal, hammered out today after 12 hours of talks. As I said last time, the details of the proposals are confidential until the parties report back to their respective organisations. After that the detail may be disclosed by the parties themselves. Acas would like to thank the parties for their commitment, hard work and patience during the course of these difficult negotiations and hope that these proposals will lead to a successful outcome. Acas: A final set of proposals has been drawn up aimed at ending the dispute by fuel tanker drivers. The Unite union has been given until May 21 to decide whether to accept the deal. 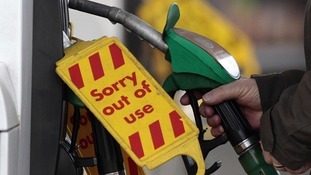 Motorists across the country are waiting for an announcement on whether fuel tanker drivers are going to strike. Rural drivers may be particularly worse off, as we found out when we spoke to some mothers in Middleton in Teeside. Unite must decide whether to call industrial action today as talks aimed at averting strikes by fuel tank drivers resume. The two sides have been talking for six days, but a proposed agreement reached last week was rejected by tanker drivers. What chance is there of agreement in petrol peace talks?